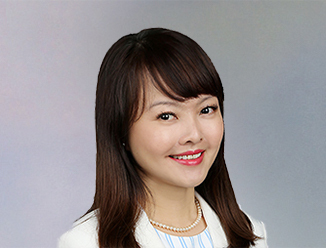 Singapore, January 23, 2019 – Asia Pacific’s steady economic growth is set to continue in 2019; however, key risks arising from the US-China trade conflict and the pace of interest rate hikes will test the region’s resilience, according to CBRE. While Asia Pacific’s solid real estate fundamentals are encouraging, financial market volatility is expected to prompt greater investor prudence this year. In Singapore, economic growth is expected to moderate in 2019, on the back of changing dynamics in key demand drivers. The cyclical slowdown in electronics demand alongside trade frictions will weigh heavily on the manufacturing sector, but the modern services clusters is expected to remain resilient amid a boom in digital-related activities in the technology and financial sectors. The following are highlights from CBRE’s Asia Pacific and Singapore Market Outlook 2019 reports, covering the major themes of real estate investment, office leasing, retail and logistics. • Take profits: Investors are advised to take profits from early investments and review their portfolios and investment strategies as higher prices, compressed yields and escalating borrowing costs translate to fewer options with justifiable returns. • Go structural: Investors’ attention should be less focused on cyclical investment and pivot toward sectors that have benefited from structural trends, including modern logistics, and niche sectors such as data center and multifamily. • Decentralization: Rising tenant demand for cost savings and relocating to decentralized areas will offer investors considerable opportunities to provide real estate debt financing, given conservative lending attitude from banks. • Prudent investing: Buyers will evaluate potential deals with caution due to the tighter yield spread against the cost of borrowing and pricing that is well above the previous peak. • Moderating volume: Asia Pacific commercial property investment turnover will reach around US$120 billion in 2019. • Co-working will continue to be one of the major office demand drivers. 2019 is expected to be another strong year with market size forecast to surpass 2 million sq ft.
• With the entry of more venture capital players leading to increasingly larger funding rounds, this could help drive a wave of office expansions. • Tightening Grade A vacancy drives occupiers to widen search, which could help drive up leasing demand for Grade B/B+ offices in choice locations. • Rents are projected to maintain an upward trajectory, albeit at a more measured pace. The next wave of supply expected in 2022 will cap rental growth in moderate term. • Placemaking will continue to be a key focus for landlords to increase dwell times and improve shoppers’ experience. • Notwithstanding the supply pipeline of 1.58 million sq ft in 2019, most of which has already been absorbed, future private retail supply from 2020 to 2022 is estimated to remain tight at 0.39 million sq ft.
• Driven by prime retail properties, average rents are expected to increase at a stable and sustainable pace over the next few years. • Occupancy rates are expected to remain at healthy levels in 2019, supported by improving leasing volume. • With continued e-commerce growth and expectations of faster delivery time, there is a strong focus on shortening last mile delivery times. This could spur consolidation of retail and logistics space to keep costs competitive for retailers and consumers. • From 2019 to 2022, there is limited supply of warehouse space projected at 4.65 million sq ft, which translates to 1.16 million sq ft on an annual average basis. This is only about a quarter of the 10-year historical annual average of 4.49 million sq ft.
• Prime logistics rents are expected to stabilise and improve by 1.5% YoY to S$1.36 per sq ft per month. On the back of healthy demand from 3PLs and e-commerce sectors, the moderate rental growth is projected to continue till 2020 to S$1.38 per sq ft per month. • A more sustainable market can be expected in 2019; with sales volume still driven by total price quantum, supported by fundamental owner-occupier demand. • Sales momentum for the year is expected to slow down to the underlying demand levels seen in 2014 to 2016. • On the back of strong supply pipeline in the next few years, developers will turn their focus from acquiring land to clearing the inventory they have on hand. • Overall price index is expected to remain stable in the range of 0% to 3% in 2019. • To address the ongoing volatility, investors are adopting a defensive investment strategy, as they seek stable assets such as office and industrial properties which are poised to benefit from rental growth, for a stable income stream. • Hospitality sector is back in favour, with three of the largest hotel transactions over the last four years happening in January 2019. Strong demand momentum will continue into 2019. • Investors are also looking at niche assets such as shophouses, medical suites and petrol station sites.